"Titi"- (little monkey in Spanish) enda. 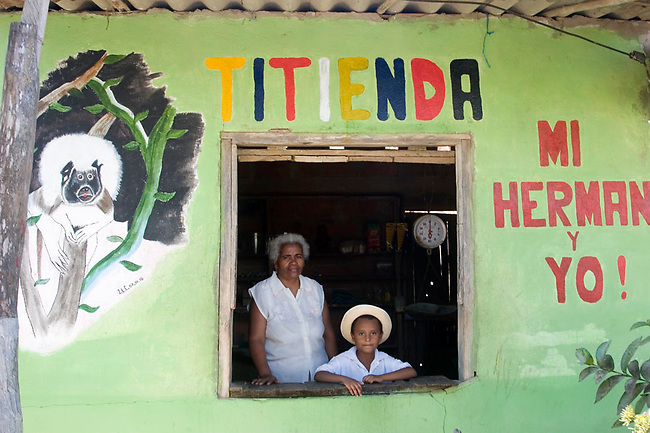 The owner with her grandson tending their small grocery store in Los Limites, Colombia. Advertising the presence of the cotton-top tamarin in their forests helps educate the community and is good for business.